Your own theater awaits with an extra-large IPS 4K screen that provides four times the resolution of Full HD, even at wide viewing angles. Complete with the α7 Gen 2 Intelligent Processor — empowered by AI at its core to enhance images, action and color. Dolby’s image and sound technologies transform your experience. 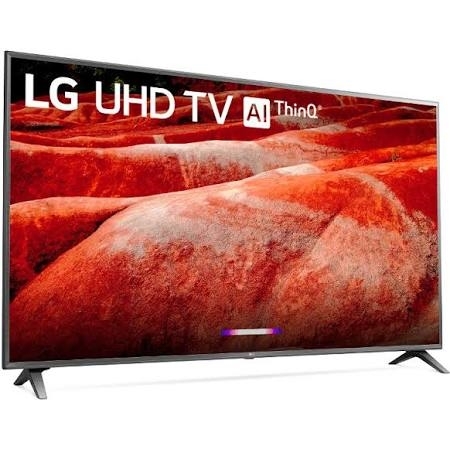 And it’s a brilliant TV that combines LG ThinQ with the voice assistance of the Google Assistant* and Alexa** to control your entertainment and smart home. Welcome home an LG UHD TV that pushes home cinema size to the extreme.